Last week, I surprised my parents with a gift I’ve promised them since I was 9 years old. Fact: every kid dreams of making their parents proud. 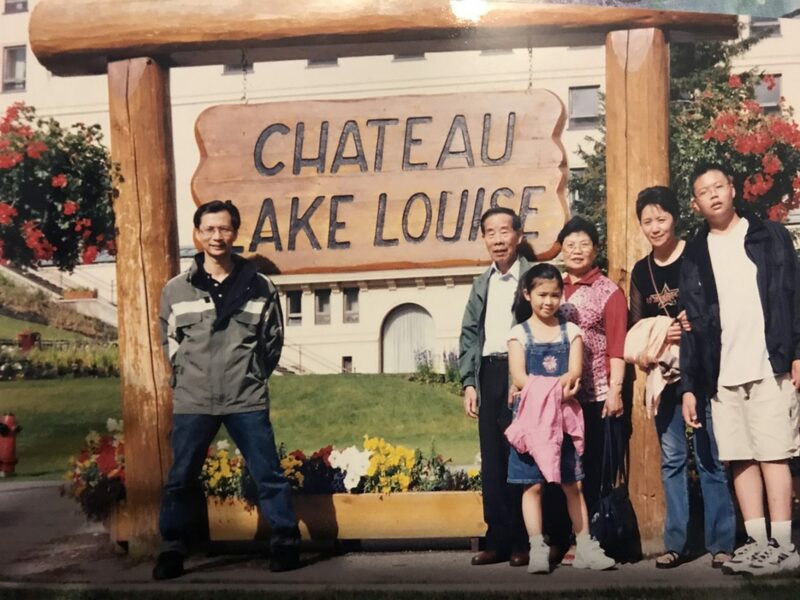 Especially when you grow up as a 2nd generation Canadian, (the child of immigrants), there’s an ever-lingering pressure to succeed and validate every sacrifice your parents ever made. So clearly, that’s why I chose the ballin’, financially stable life of a travel blogger. Hahahaha just kidding. Please feed me. When I was growing up, my parents owned a restaurant, which meant long hours and even more limited vacation time. And while my mom often took me on trips to expand my sheltered horizons, we rarely ever did vacations as an entire family. One of the few times this happened was a road trip to the Rocky Mountains, and it’s still one of my earliest (and happiest) childhood memories. Arriving at Lake Louise, I remember thinking it was one of the most beautiful things I had ever seen. The water was a blue that I had never seen before and right along the lake stood a giant building that I (naively) assumed was some princess’ castle. It turned out to be the Fairmont Chateau Lake Louise, which I guess, is pretty much the same thing. It was almost as if little me had said to herself “challenge accepted”. I may not be a rich, successful lawyer like my parents wanted, but I am a girl who has turned her naively ambitious dreams into a career. All I’ve ever wanted in my life was to make my parents proud… and while that’s not the easiest thing when blogging and social media are puzzles to them, I knew a way to make it happen. … By surprising them with that gorgeous hotel, just like I had promised all those years ago. 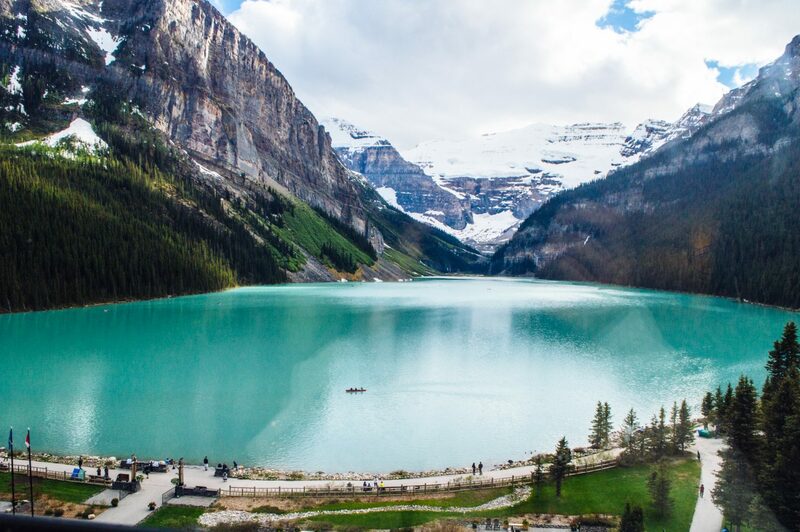 Determined as ever, I reached out to the Fairmont Chateau Lake Louise to see if we could work together to make this dream come true for my parents… and you bet I almost excitedly flipped the table when they said yes. Just before leaving, I gave my dad a letter explaining where we’d be staying. And when we finally saw that view? No joke, the view from our window! I honestly can’t recall the last time I had seen my parents so excited, carefree and just so genuinely happy. I think that one of the most irritating downsides of constant travel is that you begin to take it for granted. Looking at my parents, who have never spent an unnecessary dime in their lives, I saw the joy and wonder that travel is meant to make you experience. From giggling about the bottles of water in the fridge, to photographing every little mundane thing. It’s likely an incomprehensible choice to them, my decision to pursue travel blogging, writing and digital marketing for work. In many ways, the instability and sporadic paycheques stand completely opposed to the future they had sacrificed so much for me to have. For them to uproot their entire lives to build a future in Canada, only to have their daughter run off as soon as there’s a flight deal… That’s probably not easy. Still, in spite of all that, they’ve only ever supported me. Even as the trips got longer, the phone calls less frequent, and the time home cut shorter each and every time. The truth is: I’ve been all over the world now, and I have not once truly said thank you to my parents for their pivotal role in that. I don’t want to wake up one day and regret never having gotten to know my parents as human beings, more than just “Mom” and “Dad”. I don’t want to feel as if I’ve failed to express my gratitude and appreciation for everything they’ve done. So although this weekend was short, I was able to spoil them every chance I could. From ordering their first ever room service, to drinking bubbly with the world’s best view… And you know what? I really hope this is just the start. To my amazing mom and dad, thank you for giving me the world. A huge thank you to the Fairmont Chateau Lake Louise for making this surprise possible. You’ve given my parents and I memories that we’ll cherish for a lifetime. This is such a touching post and such an awesome gesture you planned and how sweet the hotel said yes! THAT VIEW from your view is INCREDIBLE! Glad you had a great stay right here! <3 <3 <3 Thank you, Kristine! It was definitely an unforgettable experience. So happy I got to share it with my parents! Literally crying! Such a beautiful surprise for you parents. It’s lovely when we are finally able to give back to the people who have done so much for us. Good for you! Aww hahah happy tears I hope :’) Yes this was such a great feeling. Like I said, I can’t wait to keep spoiling them! You are so sweet! such a beautiful view outside room window too! I really loved this post! Thank you for showing us a bit of your background and personal side. How happy your parents must’ve been! It’s been a while since I’ve seen them so happy <3 Thanks for the lovely comment, Charmaine! I just got around to watching and reading this post… My lord woman, you have me in tears! Absolutely love the video, your Dad is SO cute! He was very, very happy – that’s for sure 🙂 Thanks for the lovely comment, Neni! Glad you appreciate my sweet outfit in the first family pic… overalls for the win hehe. Seriously, your parents are absolutely adorable. I don’t have parents of my own to spoil, but this really makes me wish I did. Your parents must be so proud of you. Hahah sorry about the tears, Leslie <3 But thank you for the kind words... I really do hope I make them proud! 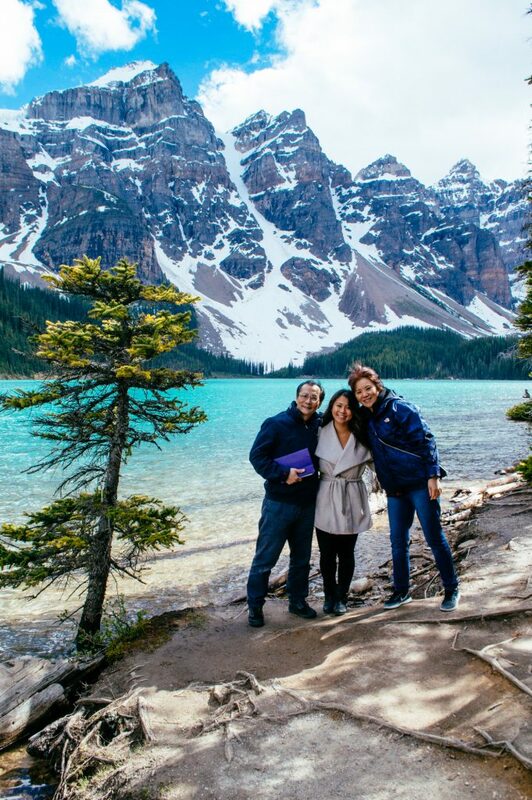 Definitely a trip to remember <3 Thanks, Valerie! Thanks so much, Courtney! 🙂 It’s an incredible feeling to pay my parents back (even a bit) for all they’ve done for me. I hope you can do the same someday for your parents! Awww Christina you had me in tears just by reading the post… And more tears when I saw the video. I am so happy for your parents and for you for finally being able to fulfill your promise to them.